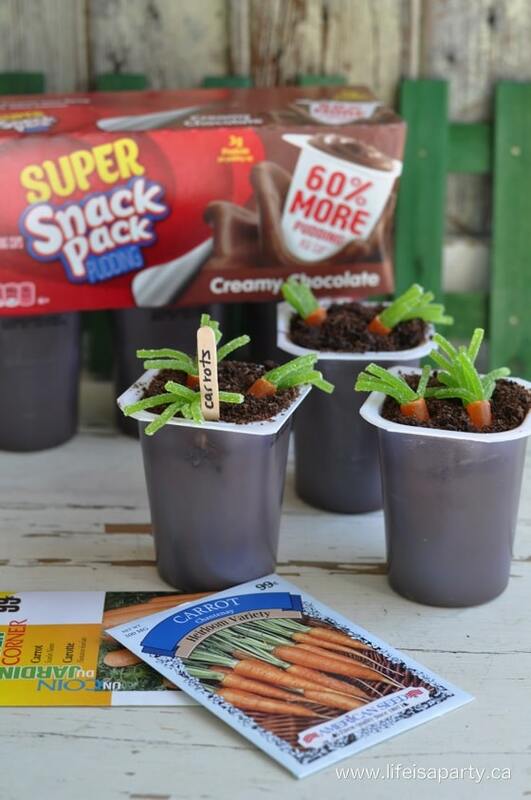 Today I’m sharing the perfect fun, and easy Easter treat for you and your family this weekend, with Super Snack Pack Pudding Cups. 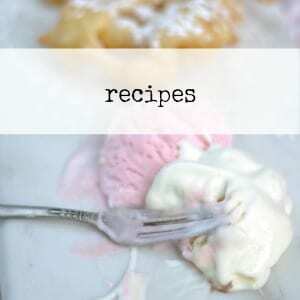 I went to Walmart, and found all the ingredients for this simple recipe. 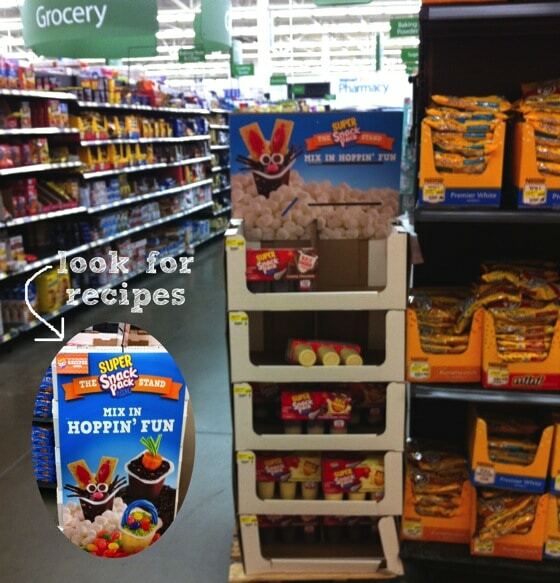 Look out for the special display, that includes recipes for you full of fun Snack Pack Mixins Inspiration! 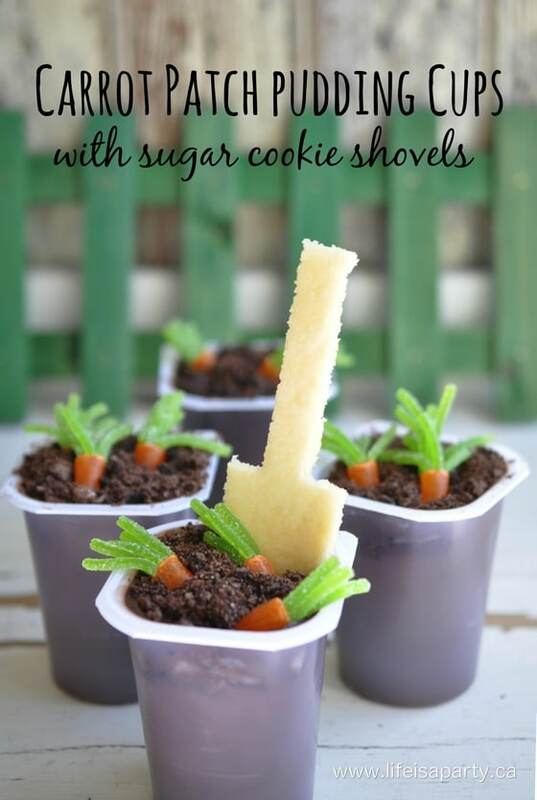 To make the Carrot Patch Pudding Cups and Sugar Cookie Shovels, I started out by making the sweet little shovels. I bought a sugar cookie mix, and prepared it according to the package directions. 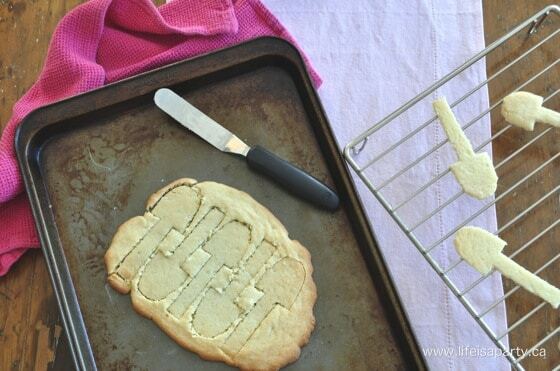 I rolled it out and baked it, and then cut out the shovel shapes while the dough was still warm from the oven. I made a simple template out of cardboard, since I didn’t have a shovel cookie cutter, and used a small knife to cut out the shapes. While the cookies were cooling, my little girls and I worked on the pudding. 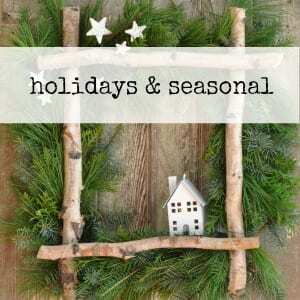 We love its yummy taste, and easy open lids make it simple for children to help too. 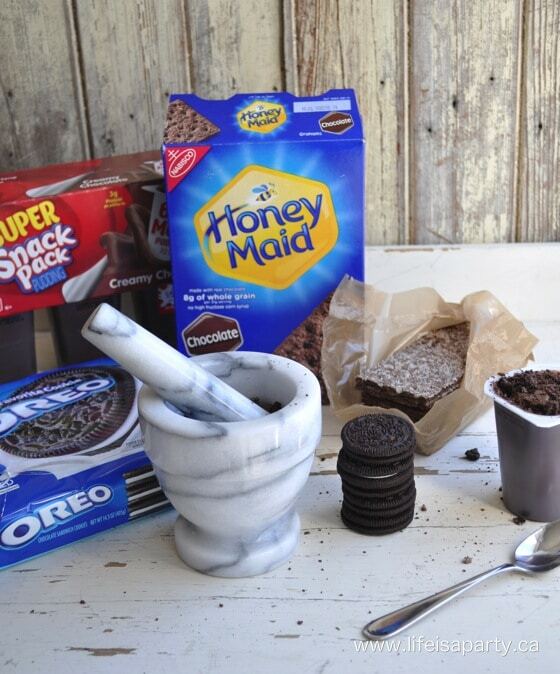 We made the cookie “dirt” from Oreo cookies and Honey Maid Chocolate Grahams. 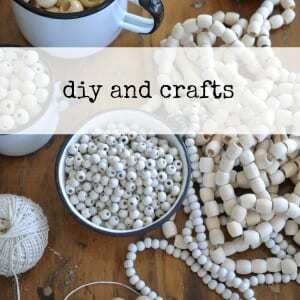 Just put a few of each into a mortar and pestle, and crushed them into crumbs. 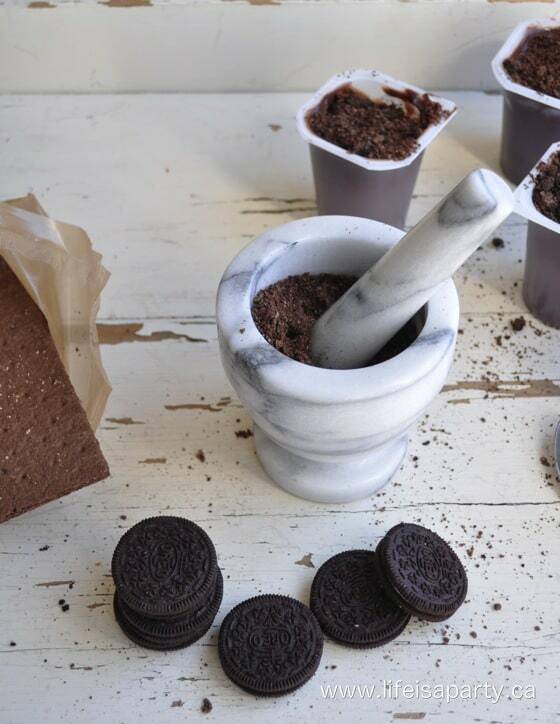 Then sprinkle the cookie crumb “dirt” over the chocolate snack pack pudding cups. Easy peasy, and so, so yummy. 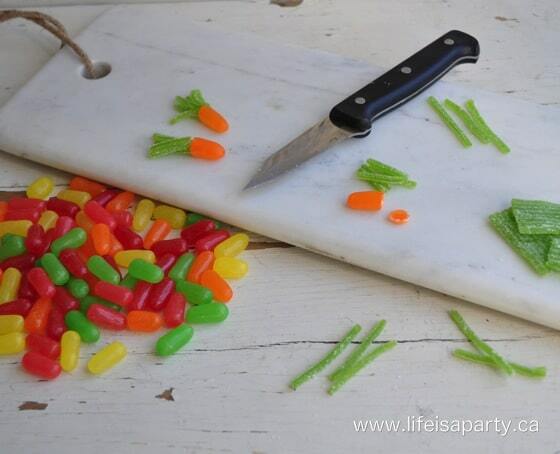 Next, we made the fun little candy carrots. 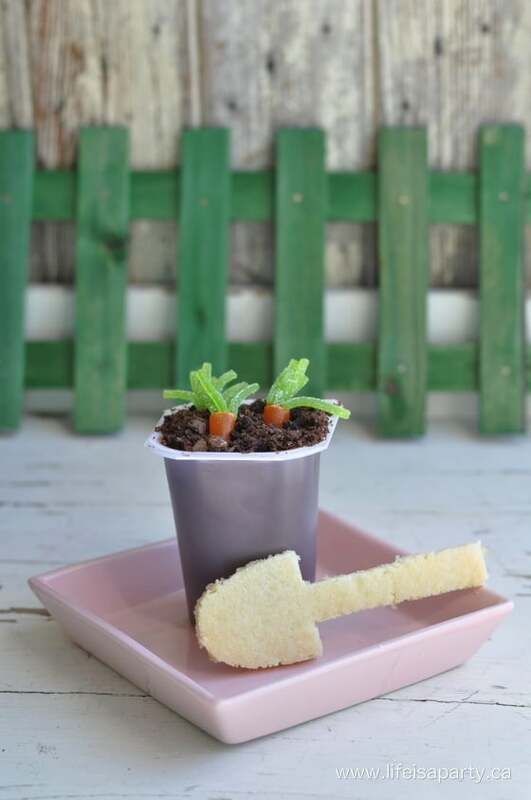 We used orange coloured candies for the carrots, and cut off the very top to make a sticky base to put our candy carrot tops, strips of green candies. Make sure to put the cut sides of both candies together for the best stick. 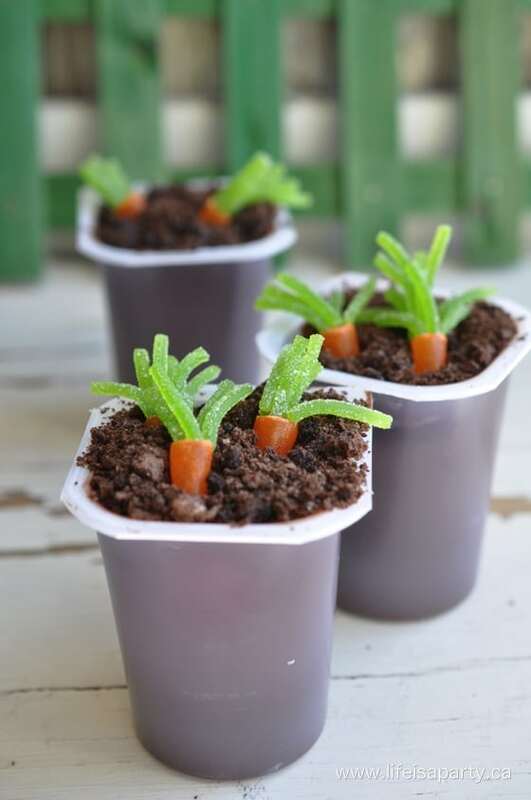 Once your candy carrots are all assembled, just tuck them into your pudding “dirt” to create your own little carrot patch just in time for Easter. 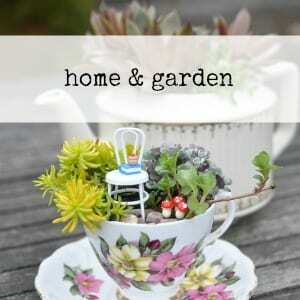 The cooled cookie shovels are a great addition to your little garden, and a great way to enjoy your pudding. Right now, click here for a Walmart coupon for fifty cents off your Super Snack Pack, and make your own #SnackPackMixin for Easter! 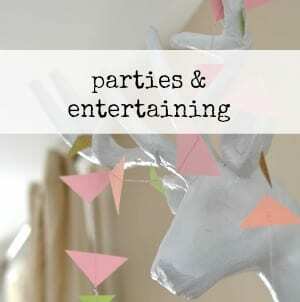 With a yummy Easter treat like this, life really is a party!